These templates are in PowerPoint format for ease of customization. Select a template, tailor the content in each column to your needs, add graphics, etc. Save file as a PDF as last name_first name_poster name. 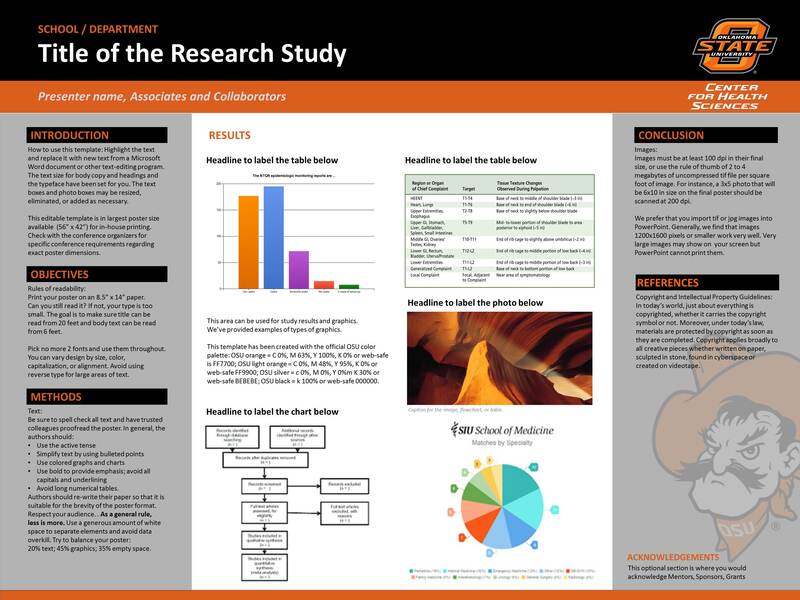 The Medical Library now provides free poster printing for OSU-CHS students, residents, faculty, and staff. The printer and supplies are sponsored by the Office of Research. Posters are printed in the order they are received and can often be printed on the same day. 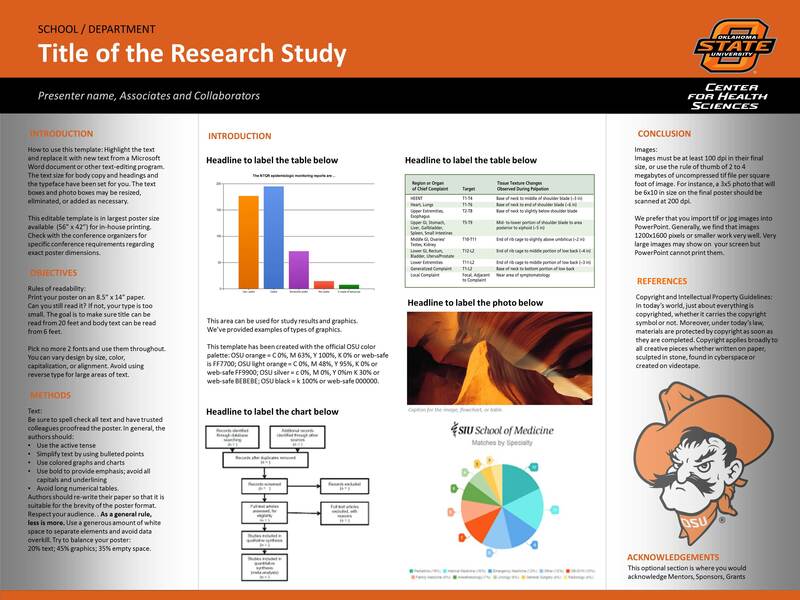 Send PDF and PowerPoint files to jon.goodell@okstate.edu. 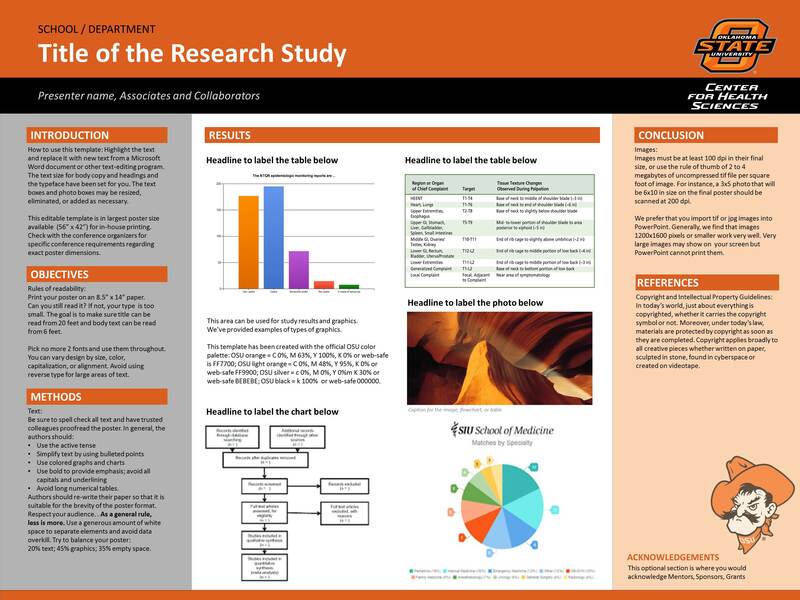 See our Research Guide for other research related topics. 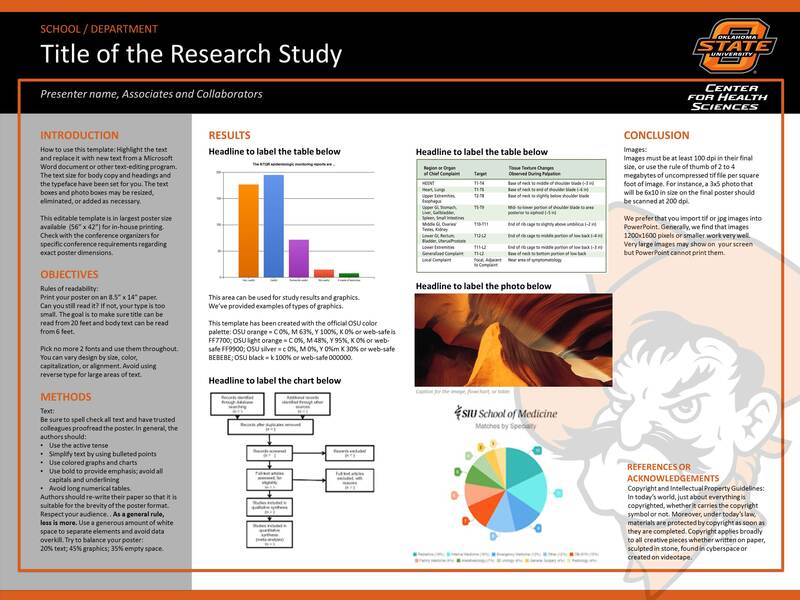 Official OSU-CHS logos and colors are incorporated in the poster templates found on this page. Poster templates are formatted for the standard printing size of 56" Wide by 42" tall. Using the filename format of last name_first name_poster name helps us identify your poster file among the dozens received.